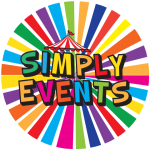 February 3, 2016 (Powerhomebiz.net) As a company that believes in extending fun at a reasonable cost; Simply Events is renowned for throwing fabulous parties. It is founded by professional event managers who have years of field related experience even prior to the inception of the enterprise. Home to specialists that cater to every party need; the enterprise specializes in parties for children. The experts aid hosts in throwing a fantastic day planned meticulously. Providing a host of fun elements to soirees that thrill the kids, the enterprise brings bouncy castles and a wide array of carnival equipment to parties. The dunking machines are especially popular while people just can’t get enough of the air-brush and glitter tattoos offered. Clients can easily plan and host any party for kids and have them turn out better than anyone could have dreamt of. “We believe that children should have fun regardless of the financial background that binds them. We believe that fun should be affordable and safe for children, which is why we extend Singapore carnival equipment. We believe that fun should be for everyone. This is why we reach out to our customers directly to mitigate the extra costs with our art and craft packages. 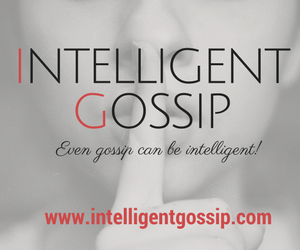 No more external planners and companies that help you coordinate events! With us, we know that you would be able to find what you are looking for, and maybe even more,” says a company representative. Children and even adults adore the yummy foods on offer right from popcorn and candy floss to cool ice cream. The kachang puteh stalls, hot dog stations and cup corn stalls are huge crowd pullers for the event experts aim to please with delicious treats. Accommodating every little guests need, the experts plan a bash that is unforgettable with games and equipment that is 100% safe. Furthermore, the cost is minimized by cutting out the middleman to offer people unbeatable prices! The Singapore event management enterprise is certainly the one stop destination for everything party related!